Without a doubt, one of the largest barriers to fully understanding a new technology is lack of familiarity with related terms and their definitions. Business VoIP and Unified Communications solutions are no strangers to this problem, and in fact may even have it worse than other technologies and solutions. When it comes to Unified Communications, there are a host of common features and functions that tend to be renamed from provider to provider. 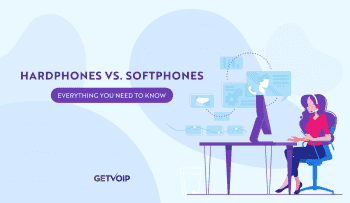 Even ignoring inconsistencies in feature names, VoIP itself is an acronym that many might not know the full definition of — and this applies to just about every term and protocol related to VoIP. We hear about Cloud, Hosted, On Premises and Hybrid solutions, QoS settings, the PTSN, SIP trunking and so much other jargon, yet how many of us can accurately define every single word and phrase? After all, we can’t all be an expert on every technology and topic. To help out, we pieced together a glossary of sorts of different VoIP and UC Phrases that any decision maker in a business should know before diving head first into the world of Unified Communications. Like any other subject, we will work our way from the very basics, up to more intense features and even protocol terms. After all, we need a basis of information from which to build off of. These might be phrases and words many of us already know, but we we wanted to help lay the foundation for the beginners. The American National Standards Institute doesn’t have a direct relationship to VoIP, but is still an important organization to be aware of. 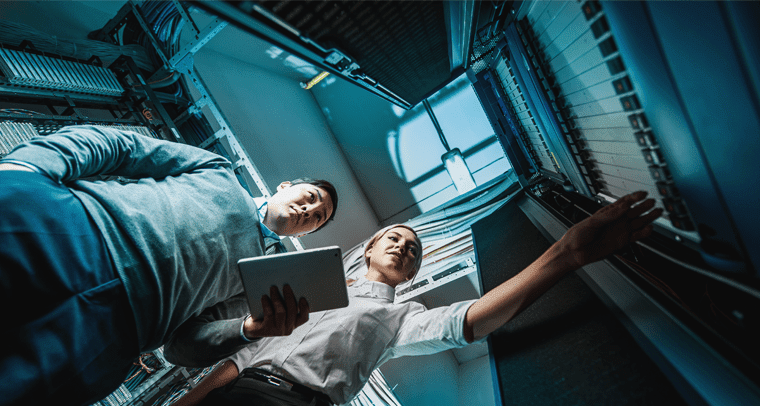 The ASNI oversees the development of “standards” for services, and as it turns out, VoIP communications are among the industries the ASNI oversees. Simply put, the ASNI is responsible for ensuring all providers and services meet the agreed upon standard. BYoD Bring Your Own Device is the practice of allowing employees or teams to use their own technology. This could mean teams use their own smartphones for business communications, or bring their own personal computers to work. The benefit brings a lower cost for IT, and higher productivity for employees using their own familiar devices. Cloud Communications Any form of internet-based voice or data communication in which the service and related technologies are hosted by the provider, and users receive access over their internet connections. This means the service provider handles the “heavy lifting” with switches, applications, and storage hosted in privately owned data centers. Hosted Solutions Hosted solutions allow a business to “rent” services, as opposed to purchasing the infrastructure. Cloud Communications by nature are generally hosted solutions, with services hosted by the provider in their own private data centers. Hybrid Solutions Hosted solutions allow a business to “rent” services, as opposed to purchasing the infrastructure. Cloud Communications by nature are generally hosted solutions, with services hosted by the provider in their own private data centers. ITSP Internet Telephony Service Providers are the businesses that offer and host digital communications. Mobility Often a buzzword that accompanies UC solutions and products, mobility is a strong benefit of Cloud Communications. 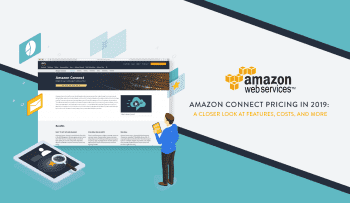 Since service is hosted in the cloud and teams are not tied down by physical hardware, users can interact with their solution on different devices, including mobile phones and tablets from any location. On-Premises Solution As the opposite of a hosted solution, on-premises solutions include the standard legacy telephony setups that most will be familiar with. On-premises solutions require a business to install physical hardware in their office to gain and spread service. Provisioning In the realm of VoIP and UC, provisioning refers to the act of preparing and establishing a network to provide service to end users. The term can be used for desk phones as well, as these devices must be configured to accept service before calls can be made or answered. Quality of Service It isn’t enough to just make and receive calls on your VoIP solution to tell if everything is working properly. Quality of Service settings allow users to monitor and measure the performance of a data transmission service. Many routers will have QoS settings to prioritize VoIP traffic over standard web traffic and ensure a higher quality of service. Scalability Much like the concept of mobility, scalability is generally a buzzword used to explain the benefits of cloud solutions. Since everything is hosted by the provider, and stored within the provider’s data centers, your business has the freedom to scale their service up or down without having to install any new hardware. With everything is in the cloud, teams can simply add or remove lines at the touch of a button, or a quick phone call to their provider. Hence, the scalability of a hosted solution. Service Level Agreement Not unique to VoIP, but incredibly important to it, are the Service Level Agreements customers will enter with service providers. Service Level Agreements are simply contracts between customers and providers that clearly define and outline the expected level of service the end user will receive. Unified Communications or UCaaS Seen as an evolution of cloud communications, Unified Communications represent the marriage and integration of multiple different communication services under one roof. Generally, a Unified Communications platform will include voice, video, instant messaging, team presence indication, file sharing and even collaboration tools. UCaaS simply stands for Unified Communications as a Service. VoIP Since many may not realize what VoIP actually stands for, we wanted to touch on even the most basic entry point as well. Simply Voice over Internet Protocol, or VoIP, is the technology that enables the delivery of data through the internet — in this case, that data can be voice, video or other multimedia transmissions. Business VoIP simply refers to the solutions utilized by a business, with more feature rich solutions that help even the smallest business act and appear as a large enterprise. Once we understand the basics of what exactly VoIP is, we can begin to work our way into the more technical details. Now, this information might not be of immediate concern for every business or manager searching for a new solution, but it is at least worth recognizing. To ensure the highest level of quality out of your solution, even the most basic understanding of how the technology works will go a long way when it comes to troubleshooting any issues that may arise. Codec The term codec may come up during technical discussions of a VoIP service, or the hardware associated with VoIP solutions. A codec is a device, or service, that compresses data so that it can be transferred at a much faster rate. Once the data is received, it is then unpacked, or uncompressed, and utilized in whatever the use-case might be. So for VoIP, a codec is used to compress the voice data into a nice neat package that can be transferred over the internet to whoever is on the other end of the phone call, whether that be on another VoIP line, or a standard legacy telephone line. Customer Premises Equipment A fancy name for a simple concept, customer premises equipment is simply any hardware or equipment that is located on a business’ premises and used to convert digital data back to voice transmissions. Direct Inward Dialing (DID) A specific term, but one that does appear often in Enterprise solutions is DID. Direct Inward Dialing allows a large company, or enterprise, to hand out individual phone numbers to every user of the VoIP or UC system. This is most beneficial for larger teams that utilize a hybrid solution, or simply need a large number of phone lines and numbers due to the size of the business, and teams employed. Denial of Service (DOS) Many may recognize DDoS before DoS, but if you aware of one you are aware of both. Denial of Service refers to a form of “attack” on a network that prevents access to or operation of that network. DDoS simply stands for Distributed Denial of Service, in which a collection of compromised computers are used to flood a network with traffic, eating up all available bandwidth. H.323 Now here is where things might begin to get a little tricky. H.323 is a set of standards approved by the International Telecommunication Union. At its origin in 1996, H.323 was originally designed for video conferencing specifically, and could offer consistent data transmission including both video and voice. After a shaky start, H.323 is now the main standard for VoIP and UC services. As an “umbrella standard,” H.323 describes to devices and network equipment how data transmissions and communication occur. ISP Similar to the ITSP definition above, ISP stands for Internet Service Provider — the businesses that supply yours with internet access. Think Comcast, AT&T, Time Warner Cable, Charter, or Verizon. Jitter A term that is often referred to in VoIP quality discussions, jitter refers to inconsistencies in the transmission of voice data due to an increase, or even decrease, in data load. Too much data exceeding your network’s bandwidth can cause the jitters, which would be signified by interruptions or lost words in the conversation. Jitter is a general term that helps describe the symptoms of this common VoIP problem, normally associated with packet loss. Latency Informally referred to as lag, latency is the time it takes for the transfer of data to begin and occur. Higher latency generally means a slower connection as the packets of data will take longer to transfer. Meanwhile, low latency is ideal and allows for super fast connections and transfers. Local Area Network (LAN) As a fairly self-explanatory phrase, a Local Area Network is the network of computers and devices established in, well, a local area. All phones and computers are connected to this local network to receive an internet connection, and transfer data. Therefore, all of the computers in your office, that are hooked up to the same router or switch are part of that Local Area Network. This is as opposed to a WAN, or Wide Area Network, which might span across multiple locations of an enterprise. Packet Loss Packet loss is when “packets,” or a collection of organized data, traveling across a network does not reach the end destination. Packets are lost when the network drops, or loses, this data due to a number of issues, but generally due to network congestion. Networks may also discard packets if the network’s jitter buffer is reached – because high latency and jitter can lead to packet loss, certain packets might be discarded to help prevent this. Ping Ping refers to the reaction time of your network and internet connection. Pings are used to measure how long it would take for a message to be sent from your network to another network. The faster the ping, the faster the network. Ping is generally measured in milliseconds, and can be used to represent latency. Private Branch Exchange (PBX) Without a doubt one of the more common technical phrases you’ll see during VoIP shopping . PBX refers to the technology behind a business phone system. 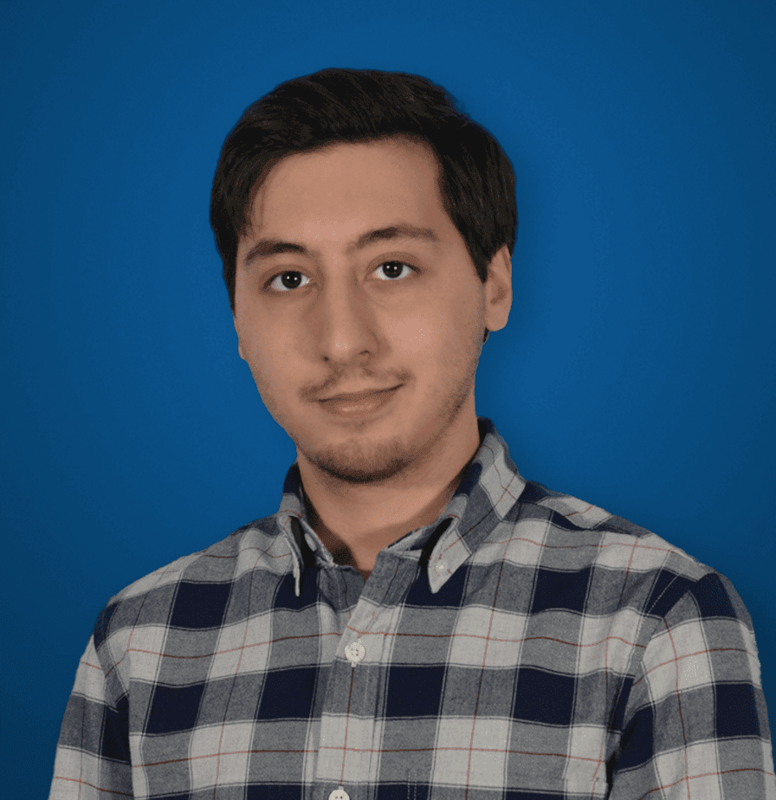 For standard, legacy connections, an analog PBX that is built on copper wires allows a business to make and receive calls, but is generally limited when it comes to features, and the solution requires on-premises hardware. A Hosted PBX is powered by VoIP with hardware hosted and handled by the provider, allowing for feature rich solutions. On-premises PBX solutions are powered by VoIP, but will be maintained by on-site IT staff as opposed to a third-party service provider. PTSN The Public Switch Telephone Network is the collection, or series, of networks around the country that include all legacy telephone lines, fiber optic cables for internet, as well as cell phone networks and even communication satellites. The PTSN integrates these networks to communicate with each other, and powers the original legacy landline phones as well as modern cell phone networks. Session Initiation Protocol (SIP) Similar to H.323, SIP is a specific protocol that enables VoIP services to work. SIP Trunking can be thought of as the digital equivalent of more traditional, legacy business phone systems. A SIP trunk acts as a virtual connection to the PTSN, but utilizing an internet connection to enable VoIP services. While shopping around for a VoIP or UC provider, you will quickly notice the same features listed again and again. The beauty of VoIP is how feature-packed even the most basic solution can be. Without having to install costly on-premises hardware and rely on the PTSN, VoIP can offer really intense features digitally. But, the tricky part is understanding what all these features do. Even more tricky, while most providers offer the same features, they generally do not label them the same way. We wanted to offer a basic list of the most powerful, and often confusing, features you should look out for. What is important to note is that these solutions are considered “dumb,” in the sense that they can only route calls to predetermined extensions. Settings can be configured for day or night modes, or even holiday hours, but overall the system is somewhat limited in its capabilities. Automatic Call Distribution (ACD) The ACD is an intelligent system designed to assign the right agent, or department, to the proper request for every single phone call. The ACD is actually completely dependent, and works alongside, the auto attendant or IVR solution in place. The auto attendant is what callers interact with, and the ACD is the technology that helps route the call to the proper location. Call Barge Generally found with call center software, or business VoIP solutions that handle inbound calls, call barge is a useful feature that allows a manager to either “barge in” and take control of any current call, or sometimes just silently listen in. Silent Call Monitoring is another common feature similar to call barge, but only allows users to simply listen and not interact with the call. Call Me Now Also normally part of call center software, but sometimes found in UC solutions, Call Me Now allows your business to add a button to their website for clients or customers to instantly initiate a call with your business. This is a great feature to help establish an omnichannel experience, and provide an easy way to access support for your customers or clients. This feature is also sometimes referred to as Click to Call. Call Park Call Park features allow users to place the call on hold, so that the call can then be continued on another device. This doesn’t just mean another desk phone, but users can pass the call off to any soft phone, any other phone in the office, or sometimes even the user’s mobile phone. Call Queue With call queuing, a business can organize different employees, teams, or entire departments into different queues. Call queues work with auto-attendants and the ACD system to help keep your business, and its phone directory, organized and efficient. Because of the queue in place, callers will only be routed to available agents as they form a “queue,” or line waiting to be served. CTI Computer Telephony Integration is an important phrase to look out for when shopping around for any UC solution. CTI refers to the ability for your UC solution to integrate with other apps and platforms. The most common of which will be CRM and VoIP integration, but CTI just is the technical term that encompasses all integrations with your telephony system. E911 Now we all know what 911 refers to, as the emergency number to dial in the U.S. However, many not realize that there also exists something known as Enhanced 911, or E911. E911 offers emergency contact support for wireless phone users, as well as VoIP and UC solutions. While this seems like a given, some providers may not offer E911 services. Your system’s E911 capabilities are important to be aware of, in case something does ever happen. Graphical User Interface (GUI) A Graphical User Interface, or GUI, is essentially the interface that all users interact with when using an app. Prior to the standard of a GUI, computers were command based and required users to type in lines of code to interact with the system. Just as the name states, GUI’s add the visual, graphical interface to interact with. Generally, UC solutions will tout their “simple to use GUI,” which is an important aspect of any platform or app. Hot Desking Hot Desking offers users the ability to log into just about any phone within the entire network, and always have the same unique account information and profile loaded onto that device. This means that if you normally work in one office, but need to go down the hall for the week, you won’t have to drag your old desk phone with you — simply log into the device with the same account or username and all your directory and contact information will populate onto that phone. Again, another great feature that helps provide the mobility of VoIP and UC. Interactive Voice Response (IVR) As a much more advanced version of an auto attendant, IVR systems add in a voice aspect on top of standard telephone button choices. Generally capable of handling simple “yes” or “no” questions and automated tasks related to these Responses. Some IVR solutions can be bolstered with intense voice recognition and natural language processing. However, at the end of the day, the IVR simply represents an evolution of the auto attendant to include automated tasks with more intelligent voice recognition. Presence Indication A popular feature now included in all Unified Communications, presence indication is actually fairly simple. For UC solutions accompanied by an instant messaging app, users are given a presence indication right next to their name. At a quick glance, thanks to a simple dot or color indication, you can see who on your team is available at their computers, or away at the moment. Without an instant messaging app, this indication can generally be found in a directory section of the solution’s GUI. Ring Anywhere Probably the single feature that is renamed the most often, Ring Anywhere features are the ultimate mobility enabler. Users can set their UC system to ring both their desk phone, their soft phone on their personal laptop, and their personal or business smart phone as well. These features allow a user to essentially assign the same number to all of their phones and devices, as to never miss a call when out of the office. This also allows a users to hand out one single phone number that can be access on all devices, as opposed to a separate office number and mobile number. Ring Groups Similar to the concept of a call queue, Ring Groups allow a business to organize different teams or employees phone numbers into the same group, in order to handle relevant incoming calls. However, what’s more unique about Ring Groups is that when the department is called, every phone in that group will ring at the same time. This is different from a queue, in which the next available agent takes the next call in the queue. Soft Phone Soft phone refers to any software application that act as a phone on your computer, or sometimes mobile devices like tablets. Soft phones will generally have graphical user interfaces that mirror a standard phone dial pad, and allow users to place normal phone calls directly from their computer, without the need for a physical desk phone. Virtual Extensions Also known as virtual numbers, virtual extensions can be thought of as phone number that forwards to another phone number. Virtual numbers won’t be assigned to any specific desk or users, and is similar to that of a Find Me, Follow Me or Ring Anywhere feature. However, the Virtual Extension will have its own unique number, and its own unique voicemail inbox. Virtual extensions are also set to ring the secondary number first, as opposed to any primary line that is available, in contrast to what a Follow Me feature would do. These can be used to allow an employee to handle business calls on their personal device, yet have a different number from their office. But also, virtual extensions can be used as automatic phone lines that relay information, like business hours or service status checks. Virtual or E-Faxing Perhaps one of the most powerful business features you didn’t even know your VoIP service has is the inclusion of virtual faxing. Online faxing allows a user to send a document as an email attachment, but instead of another email address as the recipient, you would send the email to a fax machine, or vice versa your business can receive faxes sent to directly to email. Voicemail to Email (or Voicemail Transcription) Just as the name states, Voicemail Transcription is an incredibly useful feature that will automatically send users a written transcript of any voicemail left on their system. Generally the voicemails will be transcribed into emails, but can also be integrated with UC solutions and chat apps. Some solutions will even allow users to initiate calls, or simply respond to the voicemail by responding to the email.